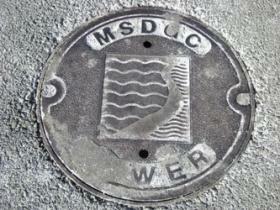 Hamilton County Commissioners have approved a 5-percent rate increase for Metropolitan Sewer District customers starting January 9. Sewer rates have been climbing for several years to pay for a $ 3.2 billion system upgrade required to comply with the federal Clean Water Act. Commissioner Todd Portune said about 780 other local governments are in the same position at a cost of more than $500 billion. "The Clean Water Act when it was adopted 40 years ago came with the promise of federal support, but the federal government has largely abdicated that responsibility," said Portune. "The way in which this national policy is now being implemented is through enforcement activities taken against local governments." Portune said Hamilton County is leading a coalition of local governments that are working to create a partnership with the federal government for addressing the issue. At the local level, Portune and the other commissioners said they're doing everything they can to keep a lid on rates. This latest rate increase will cost the average residential customer about $9 more per quarter.